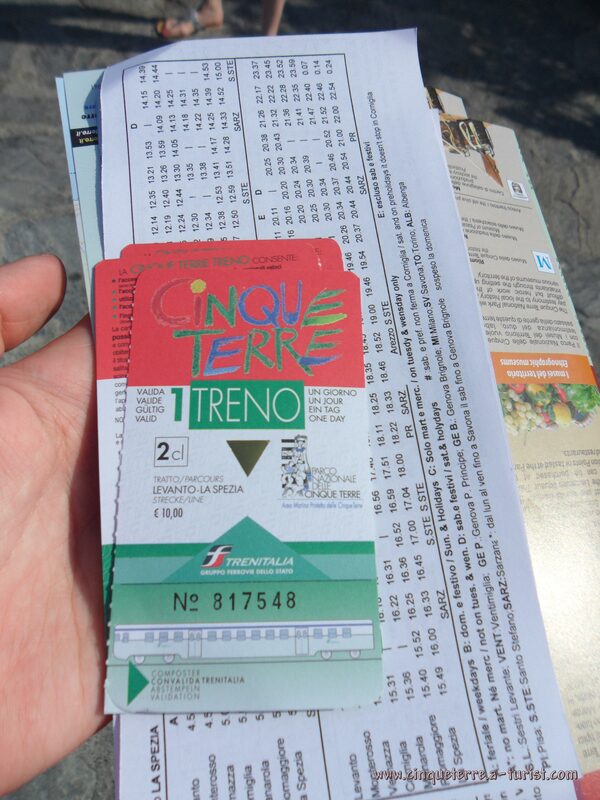 Tickets can be purchased in all railway stations (centres for tourists) or at the entrance into "Via dell'Amore" path. NEW: ONLINE. 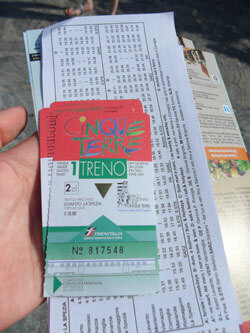 - A discount for products that you buy at the Information Centres located in every railway station in the Cinque Terre. - Usage of the trains between Levanto - La Spezia Centrale and vice versa (regional and interregional trains only in 2nd class) for unlimited travel during the period of validity of your card. - Allow for unlimited motor ship travel within the Marine Protected Area of the Cinque Terre.